Southern Living recently deemed the Chattanooga Film Festival "The Sundance of the South." With four days of independent films, parties and panels, it&apos;s no wonder this festival is quickly becoming the southeastern hub for good cinema. Hurry up and buy your badge, before you miss out. The CFF is also looking for volunteers. Here&apos;s aglimpseat this year&apos;s lineup. Check CFF&apos;s website for the schedule of showtimes. 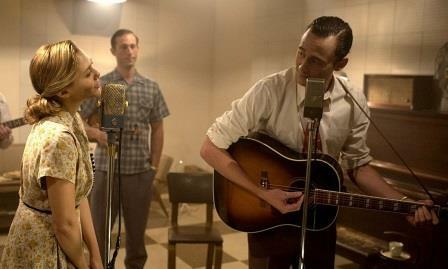 This year, the festival will open with the Hank Williams biopic, I Saw the Light. This is the story of the country-western singer Hank Williams, who in his brief life created one of the greatest bodies of work in American music. The film chronicles his rise to fame and its tragic effect on his health and personal life. The CFF booked the world premiere of the horror film Bad Blood by filmmaker Tim Reis. This is a classic werewolf flick with an amphibious twist and a race against time to find the antidote. Adderall Diaries - starring James Franco. Writer and Adderall enthusiast Stephen Elliott reaches a low point when his estranged father resurfaces, claiming that Stephen has fabricated much of the dark childhood that that fuels his writing. Adrift in the precarious gray area of memory, Stephen is led by three sources of inspiration: a new romance, the best friend who shares his history, and a murder trial that reminds him more than a little of his own story. Watch the trailer. Being shown outside the Carmike Majestic Theater on Friday, April 1, 7pm. After suffering dramatic set backs in their lives, three close friends who are among the world’s best professional climbers battle their complicated pasts, inner demons and nature’s harshest elements in an attempt to confront the Shark’s Fin on Mount Meru, the most technically complicated and dangerous peak in the Himalayas, one that has never been scaled to completion. Watch the trailer. In 1981, two 11 year-olds in Mississippi set our to remake their favorite film: RAIDERS OF THE LOST ARK. With the help of all their friends, it took them seven years to complete in their basement. Except one scene, the airplane scene. Thirty years later, they set out to finally finish their fan film and full realize their childhood dream. This is the story behind the making of what is known as the greatest fan film ever made. Watch the trailer. Cuca lives a life of quiet wonder, exploring all that the countryside has to offer. But his cozy life is shattered when his father leaves for the city, prompting him to embark on a quest to reunite his family. The young boy’s journey unfolds like a tapestry, the animation taking on greater complexity and variety as his small world expands. Watch the trailer. Mark Linkous was one of the brightest lights of the alternative music scene before committing suicide in 2010. This film celebrates his life and music. Watch the trailer. Here Come the Videofreex: This film opens in 1969 in an America experiencing seismic cultural and political shifts, but not on television. When a CBS executive decides to start a pilot program to tell the stories of the counterculture, the Videofreex are born. This collective of men and women takes their then brand-new portable video cameras out into the streets and across the country. They document anti-war, black power, and women’s rights protests, and interview activists like Abbie Hoffman and Fred Hampton. Watch the trailer. Sembene! : In 1952, Ousmane Sembéne, a dockworker and fifth-grade dropout from Senegal, began dreaming an impossible dream: to become the storyteller for a new Africa. SEMBENE!, a feature-length HD documentary, tells the unbelievable true story of the “father of African cinema,” the self-taught novelist and filmmaker who fought, against enormous odds, a monumental, 50-year-long battle to give African stories to Africans. Watch the trailer. The Fits: A psychological portrait of 11-year-old Toni—a tomboy assimilating to a tight-knit dance team in Cincinnati’s West End. Enamored by the power and confidence of this strong community of girls, Toni eagerly absorbs routines, masters drills, and even pierces her own ears to fit in. When a mysterious outbreak of fainting spells plagues the team, Toni’s desire for acceptance is twisted. Watch the teaser. There’s no better way to kick off four days of hard-core movie geekery than with our traditional pre-fest party at Chattanooga’s gorgeous Hunter Museum of American Art. Have a cocktail, enjoy some tasty snacks on us, and prepare your eyeballs to be melted by four days of CFFery. One of the most fun/most insane films in the CFF 2016 lineup is, without question, Karaoke Crazies. It’s impossible to watch and not want to pick up a mic afterward, so let CFF give you the chance with a little something we’re calling I’m Ok You’re Karaoke! Join us at one of downtown Chattanooga’s coolest new restaurants for a live karaoke competition where participants can take the stage with Rock Mayhem as their live backing band. In the tradition of the American classic, House Party 2, CFF believes comfort and partying are two concepts that don’t need to be mutually exclusive. Join us at another of our favorite Chattanooga restaurants for an event stocked to the rafters with some of our favorite local musicians. The first 100 party-goers to appear in their best jam jams will receive a free limited-edition cassette single featuring original tracks by party curators Kindora and Rock Floyd. Also appearing are BbyMutha and Superbody. As lifelong lovers of genre films, when we heard about Shudder, the highly curated new subscription service for horror fans, they had us at hello. Join CFF and Shudder as we celebrate the strange and wonderful sights that make up our MES After Hours block. Party includes special performances by Pujol, Daddy Issues and DJs YNGLFE. Did we mention it’s on a boat? We love boats. 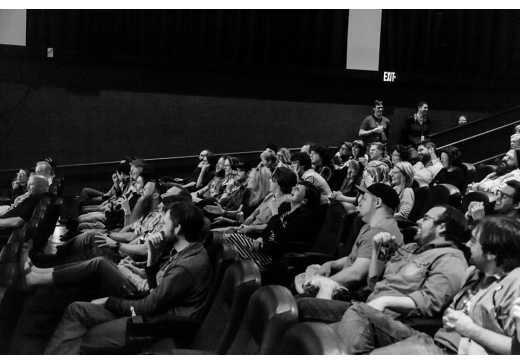 After the final film’s credits roll, CFF says goodbye with our closing-night party, during which you’ll hear from some special guest speakers and find out who wins our five awards: Best Short Film, Best Feature Film, Tennessee Filmmaker, Student Filmmaker and the Audience Award. Click here for more info on parties, workshops, and special guests. 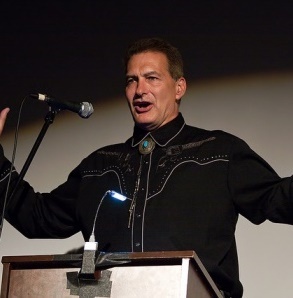 Rick Clark – musician writer and producer. Clark will be talking about music and movies.